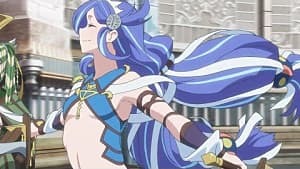 Ys VIII: Lacrimosa of Dana is a good game. In fact, we here at Gameskinny really enjoyed it, rewarding it an 8 out of 10 for satisfying combat, entertaining exploration, and quirky characters. It’s this first bullet point -- satisfying combat -- that we’re here to discuss today. In Ys VIII you have skills that you can unlock, but you don't do so by leveling up or using skill points. Rather, you earn them by battling foes. I can’t tell you how it works exactly because it is hidden, but I can say that through trial-and-error I have found a spectacular way to earn skills early on: battling high-level enemies. When fighting enemies that far outclass your character, you will learn skills at an alarming rate. 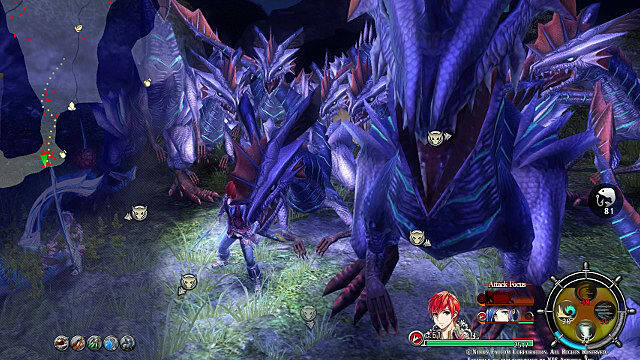 In this Ys VIII guide, I'm going to go over which higher-level enemies you can hunt down to grind for skill points, where to find them, and how to fight them without getting your face bashed in. 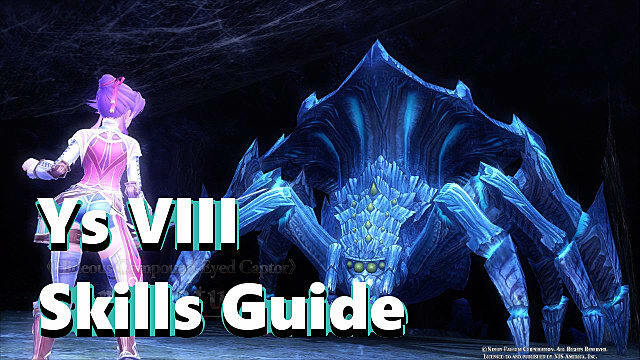 It can take a little while to start grinding up skills, and you may have to kill one of these high-level enemies multiple times before they start pouring in. Moreover, your character needs to be in combat and landing blows if you really want these fights to count. If your AI companions land hits, it'll still ultimately result in skill points, but your progress will be significantly slower since they're not as aggressive and tend to whiff their hits fairly often. It's also worth keeping in mind that difficulty doesn't matter. Because these enemies are so much more powerful than you, there's a high chance you'll get one-hit KO'ed (or close to it) even on easy mode. You can always bring items to revive your characters -- since scavenging ripe walnuts or crafting revive potions are both viable options early on -- but this isn't necessary if you get good at reading the enemy's moves and reacting appropriately. 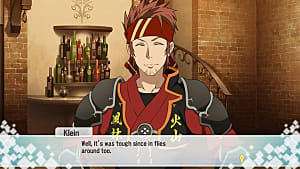 Should things get too much to handle, though, remember that you can teleport out of a dangerous situation at any given moment so long as one character is alive. The best thing you can do when facing these enemies is keep your distance and wait for openings before you attack. Learn their patterns, which I'll go over below, and treat all their moves as though they're capable of insta-kills. Below, I'll go over some specific strategies for each of these powerful creatures and how you can farm them for skill points. Note: There are some minor location spoilers, but nothing that should ruin the game for you. When you first get to the Great Canyon Valley area, you should be around level 15. Once you have teleported to the Great Canyon Valley itself, you will go up the ridge and underneath the waterfall. As you are coming out on the other side, there will be a large foggy area -- go towards it to find Gigan Tyran. He jumps up in the air and lands, causing a shockwave around him. You've probably seen this move multiple times, so it's nothing new. You can jump over the shockwave, but the hitbox for it can be iffy at times -- so I'd recomend running away from where he is jumping. He lowers his head and charges forward. At the end of this run, Gigan Tyran will whip his head upward in a separate hit. Since the tell for this move is pretty noticeable, it shouldn’t be hard to avoid -- just watch out for the extension. He executes two straight-hitting moves in quick succession. In the first one, he snaps his jaw. In the second, he rams his head forward. These are harder to defend against because the wind-ups aren't as obvious. But generally, he won't be able to hit you with these moves if you aren't standing in front of him. He does spinning move that usually occurs twice in a row. Before Gigan Tyran does this move, he will lean down and roar. Then he'll jump and spin 180 degrees. The hitbox for this move can be wonky too, but it's usually easy to dodge or even flash guard to protect yourself. He slaps his tail on the ground, causing a shockwave that goes straight behind him. This move is usually the easiest to avoid, since Gigan Tyran is generally bad at aiming it and doesn't use it very often. The Gigan Tyran is one of the more difficult enemies in the game, both because he is a relentless attacker and because he has a variety of moves that hit large areas. Getting to Valvalkia is a little more complex than getting to the Gigan Tyran, but thankfully her moveset is much smaller and less complex -- making her a lot easier to handle. You'll be around level 25 when you're first able to battle a Valvalkia. 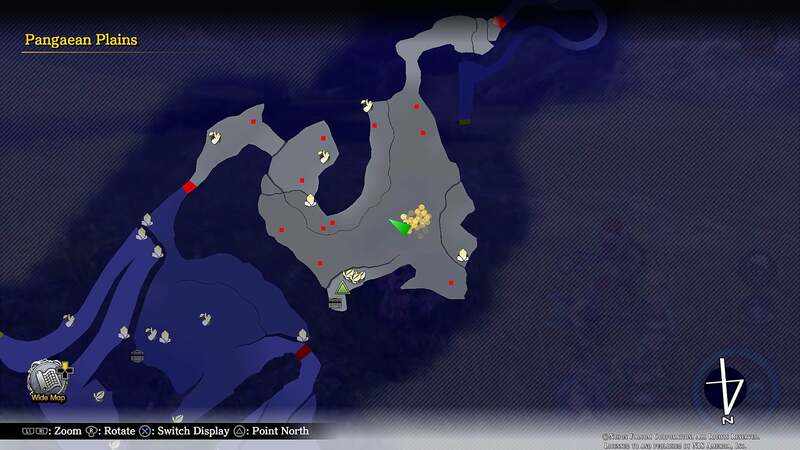 To reach this enemy, teleport to the Beast Hills North location, then head south towards Water and Forest Hills. To get there, you will need to have earned the key item “Insect Repellent” that lets you destroy wasp nests. Once you get to Valvalkia, you'll need to consider that there are a ton of Valvalkia in the area. Entering from the north will allow you to get a good one-on-one opportunity. But you have to be careful that you do not accidentally dodge into the range of another Val. If that does happen, just exit the screen and come back so that you can fight one-on-one again. 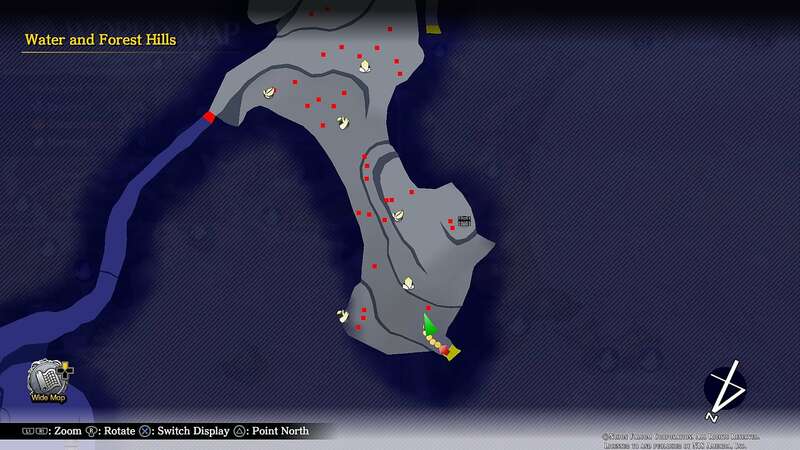 Almost all of those red dots are Valvalkias, so be careful. Val has four moves, but two of them are nearly identical and one is non-lethal. She has a roar move that will knock you away. While it might knock you to the ground, it will probably also push you away from your enemy, thus giving you time to recover. A spinning move. This move is similar to the Gigan Tyran’s, except it has a much smaller AoE. Standing away from it is easy, and timing a block or dodge shouldn’t be difficult either. Personally, I found Val to be the easiest of the 3 foes to grind against, thanks to a simple move-set and the relative ease of isolating her. 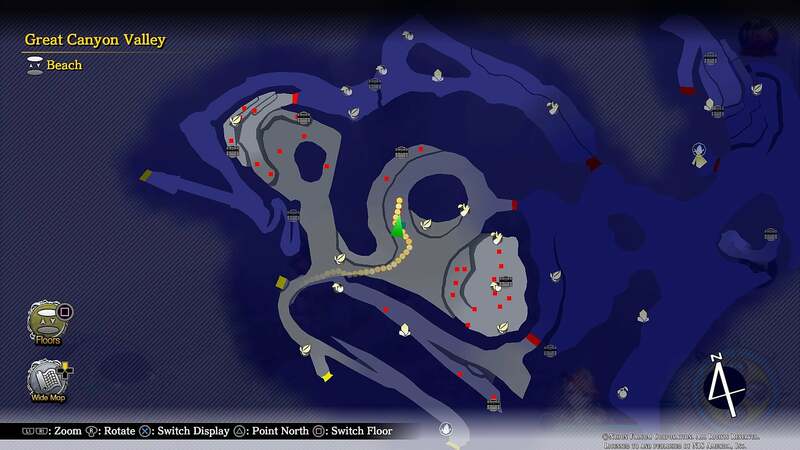 When you first arrive in this area, you should be around level 40 -- about half the level of the Dyrodox. You’re need to teleport to the Pangaean Plains, and then backtrack one screen. This does mean you have to get past the Dyrodox initially, but that’s much better than tracking all the way through the Titisu Primeval Forest to get here. This area is also very dangerous, since there is no way to isolate the Dyrodox. 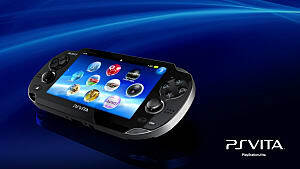 One struggle you'll have with the Dyrodox is that it pushes the camera to the brink of its usability. The camera wants to concentrate on its torso, but you really need to see its head -- which rests upon a long, giraffe-like neck -- if you want to catch it winding up for some of its attacks. Stomp that inflicts AoE damage around the foot, then causes stones to fall from the sky. Each of these stones also results in AoE damage. All you can really do is watch for this stomp and make sure you get out of the way. You can’t really see the stones falling from the sky, so just dodge as best you can. Shoots a volley of ice balls. This one is particularly challenging to see, since it will more than likely have its head off screen -- but if you can catch a glimpse of the head, you'll see the windup. Sprays ice mist by leaning its long neck down and swaying it. This hits around most of the front side of the beast. It can be hard to block, but is generally easy to see and avoid. You can also hit its head when it bends down like that for extra damage. In general, Dyrodox isn’t too hard to battle -- but there is no good, peaceful way to battle this creature without being harassed by many other foes. Moreover, the Dyrodox has diminishing returns compared to the other beasts on this list, since many of the skills you obtain late in the game are not particularly noteworthy. So there you have it! If you want to get skills earlier than intended, hunting down these monsters and fighting them is the way to do it. 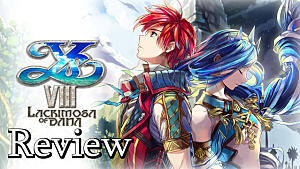 Stay tuned for more Ys VIII guides in the near future!